The Spooktober promotion is all set to give game lovers all over the world much to celebrate this October. This promotion launched by the Royal Vegas Casino has been made to coincide with Halloween celebrations and is the perfect beginning to a great Halloween celebration. The promotion is expected to run from 5th up to the 31st of October. During this time, players participating in this promotion can win several handsome prizes like two Galaxy Tabs, each priced at nearly $500. 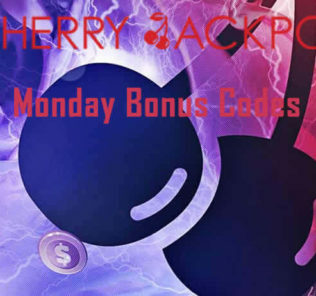 The promotion will have multiple contests like lucky draws, wagering contests, online casino slots matches and so on. All details about them can be found on the website. During the first week of this promotion, players can win up to 2000 free spins available through lucky draws. In the following week, they get another 2000 credits, which are given for free casino slots tournaments. The third week has another share of 2000 credits and players can win part of loyalty reward points worth two million through lucky draws. The fourth and final week of Spooktober has a final set of 2000 online credits, which can be won through a wagering contest. The Royal Vegas Casino, which hosts the Spooktober promotion operates using Microgaming’s casino gaming software. It is certified and has the eCOGRA seal of approval. This is proof of the fact that the casino is closely monitored and audited so that players can feel safe while playing or placing bets in this online casino. This casino also takes steps to ensure that all transactions made by players here are secure and all personal information pertaining to the players is kept confidential. Ireland’s gambling laws are expected to undergo certain modifications. It was recently declared by the Irish Justice Minister Shatter in an interview. As part of these proposed changes, certain restrictions are to be imposed on online advertisements in gambling websites. These are going to be made compulsory for all those sites where ads portray gambling to be a worthwhile pastime. As far as using credit cards to place wagers is concerned, there will be time delays placed on them in gambling websites. Moreover, new players in casino gambling websites must be subjected to an age verification process when they register so that their ages are validated. There may be the option to register for certain PIN numbers to prove that they are old enough to gamble. Regular diligence checks must be carried out by the gaming sites on their customers. This may lead to some amount of delays when players want to start playing games in such sites. Sometimes the delays may be as long as twelve hours from the time players register themselves. Those casino owners who are allowing unlicensed gambling activities may be fined heavily or forced to stay in prison for some time. Such changes in Irish gambling laws are expected to protect both players and the sites, which have genuine licenses. All these changes may come about in the next year when the government passes them but there are no plans yet on the methods of execution of such changes. The gambling sites will also need to pay taxes as reiterated by their Justice Minister Alan Shatter.